Explore the deep limestone caverns of Parque Nacional de las Cavernas del Rio Camuy, carved out of the earth by the third largest subterranean river in the world, the Rio Camuy. 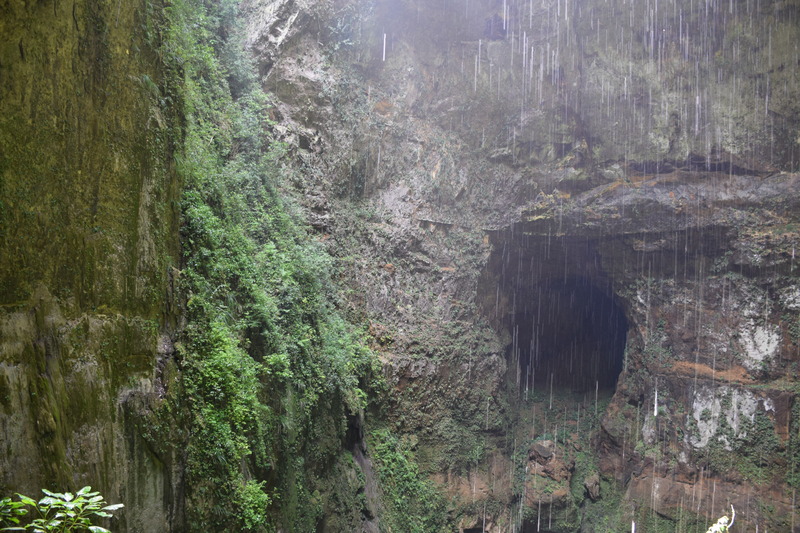 Although 16 km (10 mi) of caverns--with 220 caves and 17 entrances--have been mapped, experts believe this makes up only a tiny fraction of the gigantic system as a whole. Consider taking a tour of the main caves and visiting the other open areas around the park, including a massive 213 m (700 ft) sinkhole. You might not find hiking through the caves too strenuous, but it's worth wearing sturdy shoes nonetheless. Don’t forget your camera and your bug spray. Before you head to Camuy, plan trip itinerary details with our user-friendly Camuy trip planner , to make sure you see all that Camuy has to offer, including Parque Nacional de las Cavernas del Rio Camuy. At 22 Dec 2018, the facilities remain closed. Telephone and sounded busy, the information on the networks was uncertain. Q I consider the administration of the Parks on the website must have official and updated information. Do Not miss the trip to 22 Dec 2018 is closed.